Both BJP and Congress call this a ‘close contest’, almost a 50:50 election and voters term this as ‘takkar ka chunaav’. New Delhi: The Madhya Pradesh assembly polls — which saw a high 75 per cent voter turnout — have been unique in the sense that both the BJP and the Congress see this as an equally close, and an almost 50:50 election. The voters seem to agree and have called this a “takkar ka chunaav”. Close or not, the results of these elections have an important bearing on both parties with the stakes being equally high, particularly given they come just months ahead of the 2019 Lok Sabha polls. In the 2013 assembly polls, the BJP won 143 of the 230 seats, while the Congress managed to win 71. Their vote share was around 38 per cent and 32 per cent respectively. 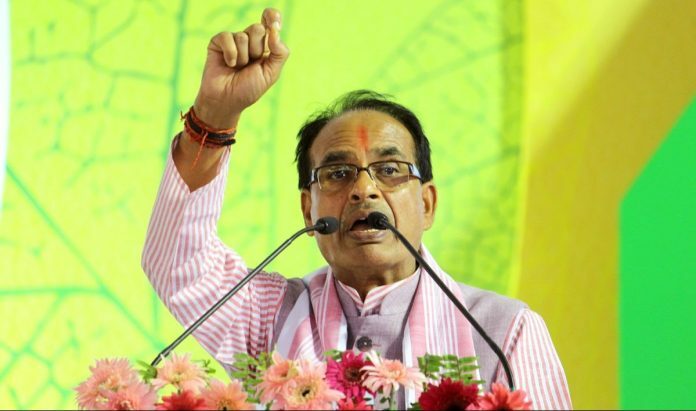 However, given the Shivraj Singh Chouhan government is now fighting an anti-incumbency sentiment of three terms, the BJP knows it is perhaps Chouhan’s toughest electoral battle. At the heart of this election for the BJP is Chouhan himself. Despite being a three-time CM, he remains reasonably popular leader and serves as an asset. And yet, voter fatigue and boredom, as well as a degree of incumbent-disillusionment has meant he is also weighing the party down. This is Chouhan’s election alone, and he knows he needs to win this one to prove that while he may not have hit the national space like Prime Minister Narendra Modi — once his contemporary — but continues to remain a pillar in his home turf. For the BJP, losing any election after having portrayed the Modi-Amit Shah combine as a winning machine, is embarrassing, particularly as it gears up for a challenging general election. The results of this election will also reflect the party’s ability to brave an anti-incumbency mood, and get its booth-level strategy as well as ability to whip up voter sentiment right. The Congress, meanwhile, is fighting for survival. It is in power in only two states — Punjab and Karnataka, besides the union territory of Puducherry. Mizoram, the third state it ruled and the last it holds in the northeast, also voted on 28 November. Winning a state at this point — particularly in the heartland — is important both strategically and symbolically, as well as to lift the morale of its workers and leaders. In an election like this, where the opponent has a clear disadvantage of having a three-term anti-incumbency sentiment to tackle, the Congress cannot be seen as being slack and unable to seize the moment. The party knows a loss in Madhya Pradesh may help BJP further reinforce its image of being invincible under Modi, a narrative that can come truly handy in the run-up to 2019. The word — badlaav (change) — is the most dominant factor of this election. The voter is yearning for change. The change may be hyperlocal, local or state level — but it is the buzzword. The big question is whether the Congress can convert this sentiment into votes for itself. In many areas, this could also be a candidate-to-candidate election, with no major overarching issue. However, there are challenges such as farmer anger and a disappointed business community that confront the BJP. In June 2017, a farmers’ protest — demanding higher crop prices and debt relief — turned violent in Mandsaur as police opened fire, killing five farmers. The anger among the farming community since then does not seem to have mellowed. Meanwhile, the BJP’s traditional vote bank — the business and trading community — is unhappy about policy decisions such as demonetisation and GST rollout, a fact that could hurt Chouhan’s chances. What the BJP has going for it is goodwill for Chouhan, the fact that voters feel roads and power supply have improved under him compared to the previous Congress regime, as well as his initiatives for women. The factionalism in the Congress — which may no longer be brazen and public but continues as an undertone — has also been at play in this election and can be an advantage for the BJP. The fact that Congress has had no clear, declared CM face has also meant the voter is asking the ‘Chouhan versus whom’ question. Unlike other previous state elections the BJP has fought, its primary factor in Madhya Pradesh hasn’t been Modi, but Chouhan. The big asset for BJP, unlike Congress, is its widespread organisation network and the RSS outreach. For the Congress, its state leadership — Kamal Nath and Jyotiraditya Scindia — has added weight to its campaign, with its national leadership playing a fringe role. Former CM and senior Congress leader Digvijaya Singh is seen both by the party and the voters more as a negative point than much else. It is, therefore, tough to say what the X-factor for each party could be. But in the election, overall, marginal players such as Mayawati’s Bahujan Samaj Party (BSP) could end up playing an important role. The party had won four seats in 2013, but data shows while it may not have been able to expand its support base in other regions of MP, its vote share seems to have remained intact in the regions it has influence — the Chambal region and Vindhya Pradesh. Traditional wisdom in the state says the BSP dents the Congress, and has grown at its expense. In a bipolar election as closely fought as the current one, any third party can cause a significant difference. The Congress’ attempts to stitch together an alliance with the BSP fell through, and whether that really hurts it enough to give its rival the advantage could determine whether the elephant did indeed bring that extra something in the battle between the lotus and the hand.